It's the most wonderful time of the year as bowl season is finally upon us. There are some important matchups and huge battles that are on the docket including the College Football Playoff with the best of the best facing off. Then, there are those games that are going to feature scoring and a lot of it. 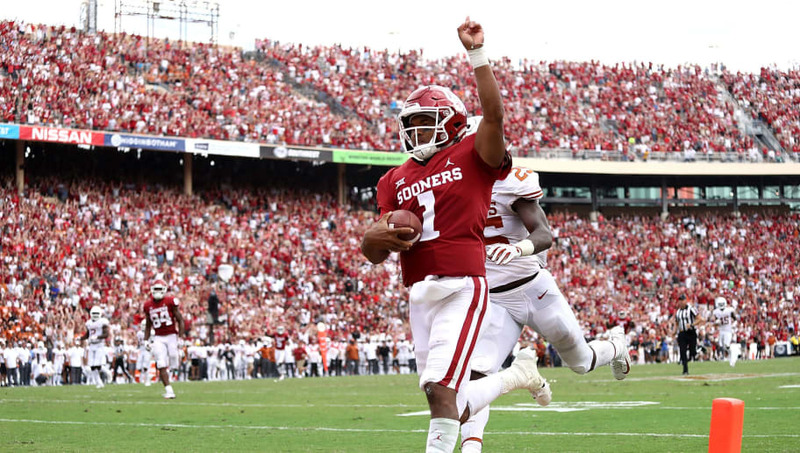 There are four games with the over/under set above 70 points including the matchup between top-ranked Alabama and the fourth-ranked Oklahoma Sooners. If you like scoring, make sure you clear your schedule for the games above. Alabama traditionally wouldn't be pegged as a team who would be featured in a shootout given the reputation of their defense, but their opponent is an entirely different monster. The Sooners are the top team in the country in points per game with, you guessed it, Alabama sitting in second place. That game is going to feature some of the best in the game including two Heisman finalists in Kyler Murray and Tua Tagovailoa. Just because there are a lot of points expected to be put up doesn't mean Alabama still isn't the favorite to take home the title. Aside from the heavyweight bout between those two teams, the other games listed above should still feature no defense whatsoever including the matchup between West Virginia and Syracuse. With the Mountaineers finishing ninth in points per game and the Orangemen slightly behind, finishing 12th, yet another game featuring two awesome offenses. Bring your umbrella out, because the weather forecast calls for a ton of points raining down from the heavens.